Cape Coral, FL (June 2, 2015) – The Archival Initiatives Division (AID) of Unlimited Priorities LLC®, a firm specializing in support services to the library and archives communities, has completed its work with the University of Chicago on the ARTFL Project’s latest conversion of French materials. Denis Diderot (1713-1784) was a French philosopher, art critic and writer. This portion of the project involved the imaging and conversion of a selection of his individual works that the university did not have from the Lewinter edition, utilizing a TEI x Lite XML format. All pages within each volume were imaged, and the text was OCRed and then subjected to data entry, resulting in a 99.95% quality level. The Encyclopédie méthodique par ordre des matières (“Methodical Encyclopedia by Order of Subject Matter”) was published between 1782 and 1832. This project consisted of text conversion via enhanced OCR processing, and the creation of images from plates contained on negative microfiche. The resultant images then underwent a cleanup process in order to achieve viable OCR. Yale University Press has launched the Posen Digital Library, which makes available online the artworks, literary works, and artifacts from The Posen Library of Jewish Culture and Civilization. Created by Yale University Press and the Posen Foundation, the 10-volume Posen Library collects the best of Jewish culture from throughout the ages, from biblical times to the present. The first volume, covering the period from 1973 to 2005, was published in print in November, 2012. James E. Young, professor of English and Judaic studies at the University of Massachusetts, Amherst, is the Posen Library’s editor-in-chief. Although Chicago-based Encyclopaedia Britannica, shelved its venerable print edition in favor of a digital-only version more than two years ago, is looking to reclaim its legacy as the household reference of choice. The 246-year-old, privately held company is shifting its virtual encyclopedia toward a free, advertising-supported model, believing it is poised to click with a new generation of online knowledge consumers. Once the undisputed king of reference libraries, with armies of door-to-door salesmen peddling the expensive multivolume sets to families across the globe, Britannica has struggled to find its place in the digital age, where user-generated Wikipedia offers something on just about everything for free. Hoping to boost site traffic and grow advertising revenue, Cauz has opened about half of Britannica’s online database to the public at no charge. Two years ago, 80 percent of the articles were behind a pay wall, accessible only to subscribers. Read the rest the Robert Channick’s report – Encyclopaedia Britannica sees digital growth, aims to draw new users – in the Chicago Tribune. The library opening with the first day of classes on Monday at Florida’s newest college features a sunlit arched roof and cozy reading chairs – but not a single book. 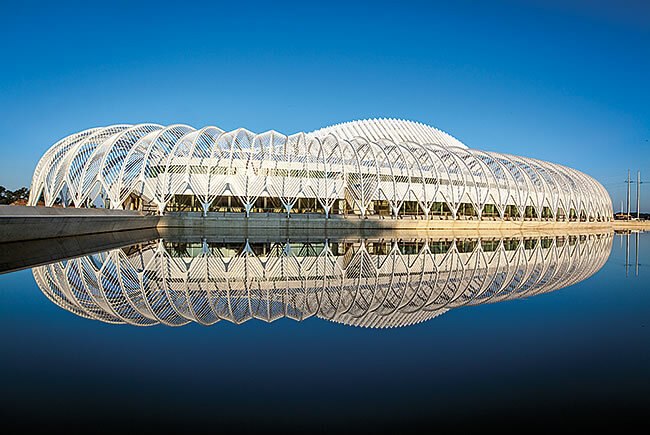 A fully digital library is among the futuristic features of Florida Polytechnic University’s striking dome-shaped building, designed by Spanish architect Santiago Calatrava. The inaugural class of 550 students can access more than 135,000 ebooks on their choice of reader, tablet or laptop. A bookless library is a rarity among U.S. colleges but reflects the high-tech ambitions of the university in Lakeland, Florida. Florida Polytechnic envisions building a technology corridor in the image of Silicon Valley between Orlando and Tampa. Without stacks to organize, librarians staffing the main reference desk will steer students to tutoring resources and train them in managing digital materials. Students can buy traditional textbooks in the bookstore, or digital texts when available. Old-fashioned books can be requested on loan from libraries at Florida’s 11 other public universities. Learn more at Florida College Opens A Library Without Books at the Business Insider. Have reference sources eroded in quality in the online era? We’re all aware of the challenges facing us and our users in vetting (or not) the authority and credibility of free sources available online. But the quality of contemporary vetted sources is worth examining in its own right. Many librarians continue to value traditional authorities, even if users do not. An answer may be found quickly via one’s favorite web search engine, but awareness of vetted sources may lead to quick answers as well. Choosing a vetted source first in looking for the answer can offset or reduce time spent carefully evaluating candidate retrieved websites. The 330 digital archivists who met in Washington, D.C., for the third annual Digital Preservation conference were treated to 2 days of presentations on July 22–23. Prior to 2012, this gathering was called the National Digital Information Infrastructure and Preservation Program (NDIIPP) Partners Meeting. While technology plays an important role in digital archiving, the overarching theme of Digital Preservation 2014 was that cooperation and collaboration are the keys to success for libraries working on aspects of a single project together, as well as among libraries, scholars in other disciplines, and technologists. As Micah Altman, chair of NDSA’s coordination committee, stated in his opening remarks, no single institution can counter all the risks. The best approach is to distribute risk through collaboration and coordination with colleagues. In response to questions from the floor, Altman admitted that coordination is difficult; he indicated that the greatest challenge NDSA has faced so far has been communicating the value of preservation within organizations. Photo: This photo has been provided to Wikimedia Commons by the International Dunhuang Project from its digital collection. The Wellcome Library and Jisc today announce nine partner institutions whose 19th-century book collections will be digitised and added to the UK Medical Heritage Library (UK MHL), an online resource for the study of the history of medicine and related sciences. The libraries of six universities have joined the partnership – UCL (University College London), the University of Leeds, the University of Glasgow, the London School of Hygiene & Tropical Medicine, King’s College London and the University of Bristol – along with the libraries of the Royal College of Physicians of London, the Royal College of Physicians of Edinburgh and the Royal College of Surgeons of England. Approximately 15 million pages of printed books and pamphlets from all ten partners will be digitised over a period of two years and will be made freely available to researchers and the public under an open licence. By pooling their collections the partners will create a comprehensive online library. The content will be available on multiple platforms to broaden access, including the Internet Archive, the Wellcome Library and Jisc Historic Books. partners in 19th-century medical books digitisation project. Association of College & Research Libraries (ACRL) has completed the final document of a new Framework for Information Literacy for Higher Education. The task force will submit it to ACRL’s board of directors at its October meeting. This new framework addresses the many changed that have occurred since since ACRL formally adopted the Information Literacy Competency Standards for Higher Education in 2000. Embedding cognitive, affective, and behavioral learning domains within information literacy teaching is essential. The new framework seeks to address the interconnected nature of a student’s abilities, moving away from the hierarchical and formulaic approach of the current standards. Barbie E. Keiser examines the new Framework in more detail at Reimagining Information Literacy Competencies. Marc Futterman, president and CEO of CIVICTechnologies, announced today the availability of an information-packed interactive map that gives libraries a powerful portrait of the unique demographics and market segments in their service areas. The map is available on the CIVICTechnologies web site and can be accessed at no charge. CIVICTechnologies created the interactive web map with 2010 Census data and market segmentation data. 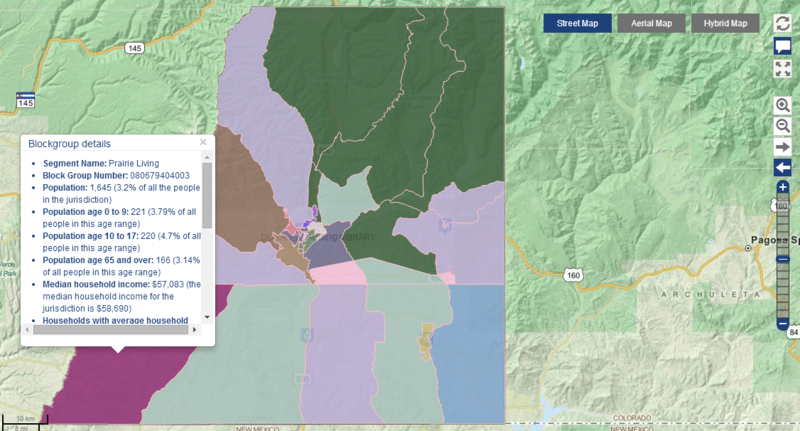 Learn more at CIVICTechnologies Launches Robust Interactive Market Segmentation Map. Are you going to be in Chicago next week for ALA Annual? We will be in the exhibit hall from June 27 to July 2, 2013 at booth 339. We provide unique solutions to the wide variety of challenges facing both commercial and not-for-profit organizations throughout the information community. From sales and marketing support to administrative and production issues, we offer effective resolutions. By integrating the diversified talents of our highly skilled group of professionals from all fields into their organizational structures, we provide clients with the flexibility to successfully attain their specific goals in a systematic and efficient manner while optimizing their financial and personnel resources.